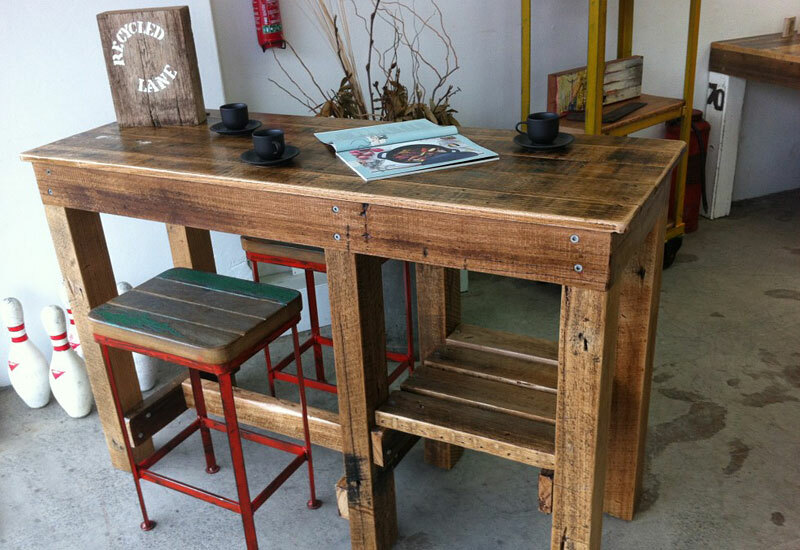 Beautifully finished furniture from salvaged materials including tables, workbenches, shelving, bench tops, seating and custom fixtures. Buy off the showroom floor; bring old items to restore or rework; or collaborate on new projects with an experienced team. 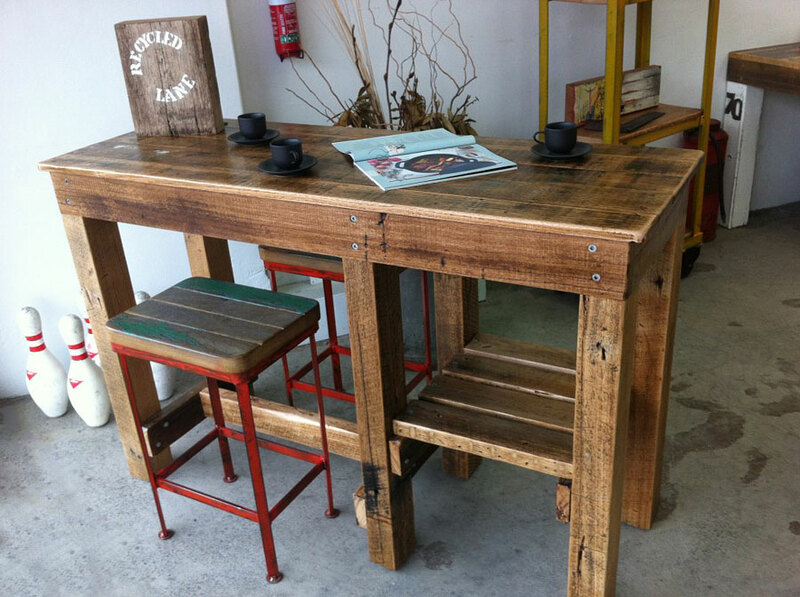 If you’re looking for striking feature furniture with an industrial flavour Recycled Lane is a Melbourne favourite. Head craftsman, Con Zois, has been a furniture maker for over 30 years and brings traditional skills to contemporary designs. 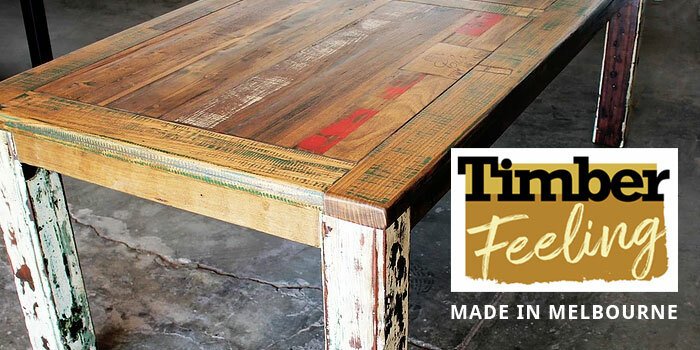 Distressed warehouse timbers and industrial steel are offset by silky-soft finishes. 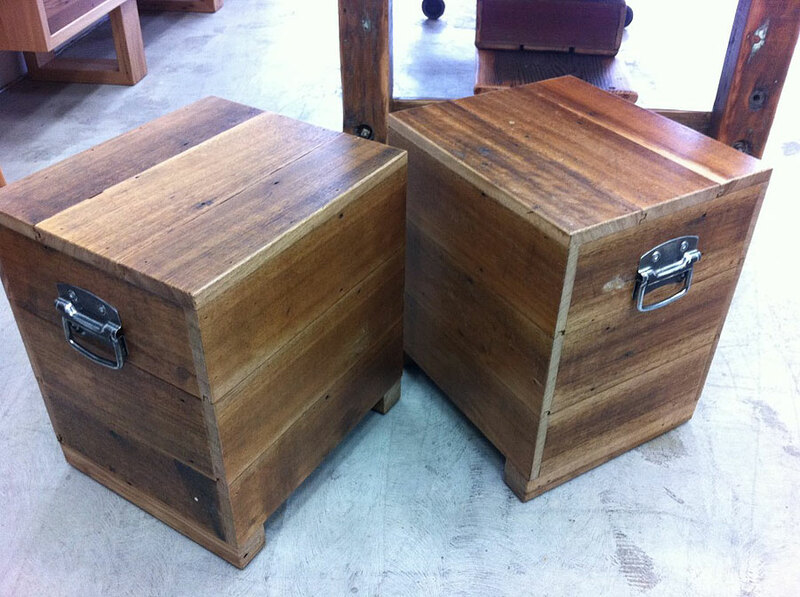 Spare, utilitarian designs are assembled with professional joinery. 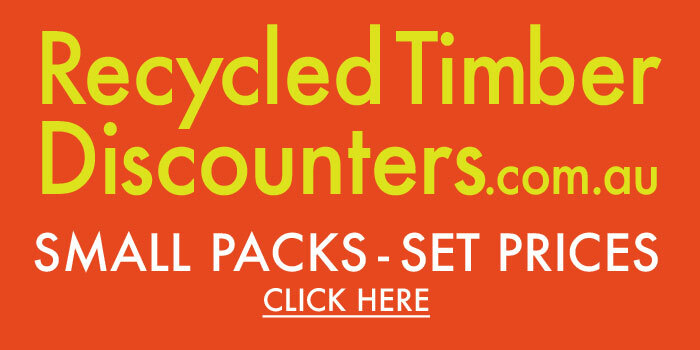 Each Recycled Lane composition is both an artwork and a practical family investment. Recycled Lane has a good website with current work and past projects to spark ideas. I also recommend a visit to the showroom to see their work in person. 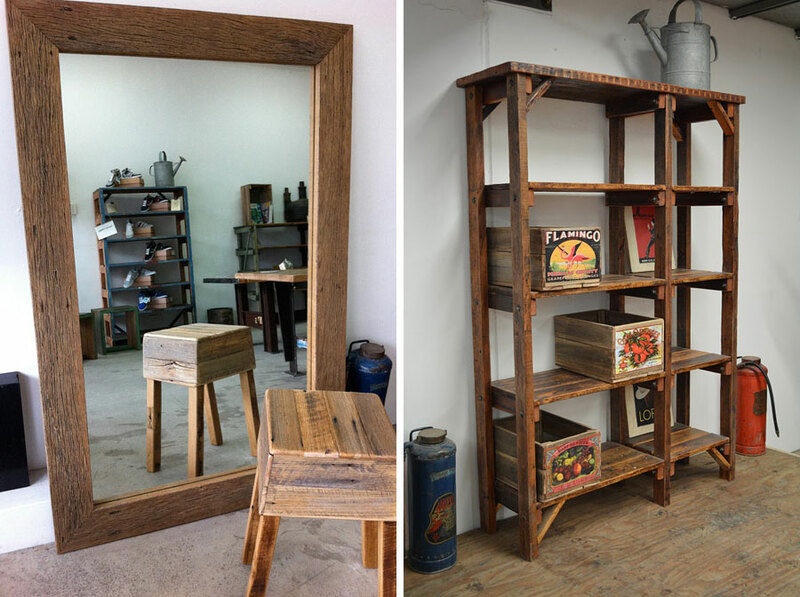 You’ll usually find small tables and trolleys, family or entertaining sized dining tables, benches and stools, practical shelving, and the odd vintage industrial styling prop or locally made artwork. 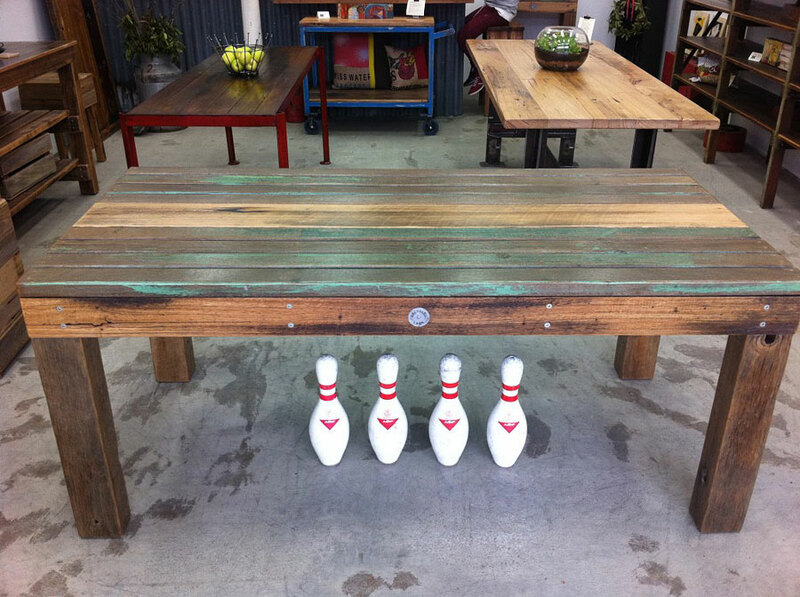 Recycled Lane is a friendly family business that combines a genuine love of old materials with professional expertise. 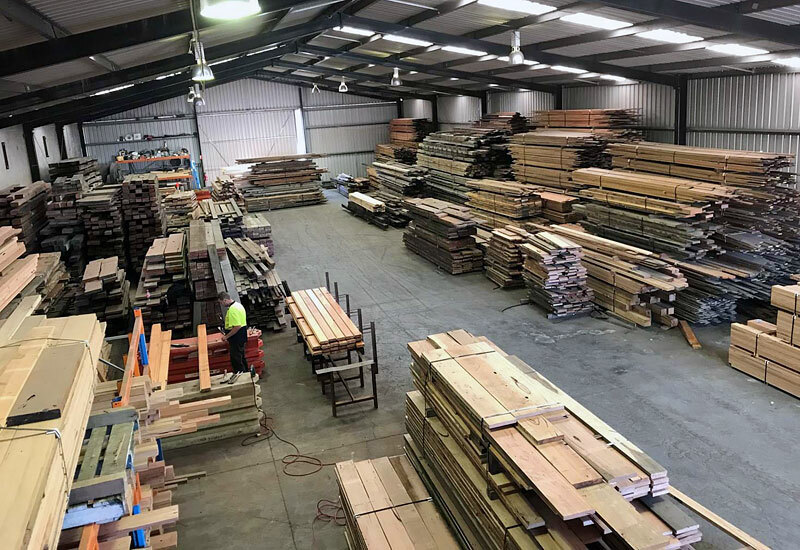 No two pieces are the same, and their sustainable, durable furniture can be shipped anywhere in Australia.